Paul Volcker was Chair of the Federal Reserve from 1979 to 1987. In 1980, the Volcker Shock raised the fed funds rate to its highest point in history to end double-digit inflation. In 2015, the Volcker Rule prohibited banks from using customer deposits to trade for their own profit. In 2015, Volcker called for a new Bretton Woods Agreement to establish rules to guide world monetary policy. Volcker fought 10 percent annual inflation rates with contractionary monetary policy. He courageously doubled the fed funds rate from 10.25 percent to 20 percent in March 1980. He briefly lowered it in June. When inflation returned, Volcker raised the rate back to 20 percent in December and kept it above 16 percent until May 1981. That extreme and prolonged interest rate rise was called the Volcker Shock. It did end inflation. Unfortunately, it also created the 1981 recession. President Jimmy Carter appointed him and President Ronald Reagan re-appointed him in 1983. Volcker knew he must take dramatic and consistent action for everyone to believe he could tame inflation. President Nixon had created inflation by ending the gold standard in 1973. The dollar's value plummeted on the foreign exchange markets. That made import prices higher, creating inflation. Nixon tried to stop it with wage-price controls in 1971. That restricted business activity, slowed growth, and created stagflation. Fed Chair Alfred Hayes tried to fight inflation and recession at the same time. He alternately raised and lowered interest rates. His stop-go monetary policy confused consumers and businesses. In 1972, Congress ended wage-price controls. Worried companies just raised prices to stay ahead of future high-interest rates. Consumers kept buying before prices rose even more. The Fed lost credibility, and inflation rose to double digits. Thanks to Volcker, central bankers realize the importance of managing inflation expectations. As long as people thought prices would keep rising, they had the incentive to spend now. The added demand drove inflation even higher. Consumers stopped spending when they realized Volcker would end inflation. Businesses stopped raising prices for the same reason. In 2009, President Obama appointed Volcker to the Economic Recovery Advisory Board (2009-11). Volcker played a crucial role in shaping the board. He brought in leaders from both business and academia. They provided an independent perspective on handling the financial crisis. Volcker, who was 81 when he accepted the post, had been active in Obama's campaign. Obama considered him as a possible Treasury Secretary. Volcker blamed the 2008 financial crisis on poor regulation of the financial sector. As the board chair, he advocated tougher banking regulations with the Volcker Rule. It prohibits large banks from using customer deposits to trade for their own profit. They can only do so on behalf of their clients. Those kinds of risks are why the 2008 bailouts were necessary. Banks may only trade to offset currency risks or to trade for a client. Although the Rule was under review until 2012, it had immediate results. For example, Goldman Sachs eliminated its proprietary stock and currency trading desks. In 2014, Volcker called for a new Bretton Woods Agreement. The 1944 agreement established the dollar as the global currency tied to its value in gold. Volcker noted that currency crises increased once President Nixon voided the agreement. They include the Latin American, Mexican and Asian currency crises. A new agreement would create a coordinated international monetary and financial system. It would establish rules to guide world monetary policy. It might even include a new global currency to replace the dollar. It would create equilibrium in countries' balance of payments. That would ensure they had adequate foreign exchange reserves. Volcker made these remarks at the Bretton-Woods Committee meeting. It's a group of global leaders that seek cooperation among international financial institutions. These include the World Bank and the International Monetary Fund. It also includes the world's central banks, treasuries, and private banks. Volcker is Chair Emeritus of the Committee. Volcker was born on September 1927 in Cape May, New Jersey. He earned a B.A. from Princeton in 1949. His M.A. is in political economy and government. He received it in 1951 from the Harvard University Graduate School of Public Administration. From 1951 to 1952, he was Rotary Foundation Fellow at the London School of Economics. Volcker started his career as a research assistant at the New York Fed in 1949. He returned as an economist in 1952. In 1957, Volcker became an economist at Chase Manhattan Bank. In 1962, he worked in the U.S. Treasury Department. He became the Director of the Office of Financial Analysis. The following year, he became Deputy Undersecretary for Monetary Affairs. In 1965, he returned to Chase Manhattan as Vice President of Forward Planning. From 1969 to 1974, he was Undersecretary of the Treasury for Monetary Affairs. In 1974-75, he was the senior fellow of the Woodrow Wilson School of Public and International Affairs at Princeton University. Volcker worked in both private and public capacities after leaving the Fed. He was chairman of J. Rothschild, Wolfensohn & Company, an investment banking firm. He led investigations into the Enron scandals. He also examined corruption in the United Nations’ oil-for-food program in Iraq. 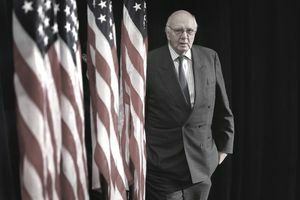 Volcker is currently the chairman of the Group of 30. That's a Washington, D.C.-based economic advisory group. He headed a panel that probed Swiss banks’ handling of Holocaust victim’s accounts. He has also been active in the Arthritis Foundation. According to Forbes magazine, "Volcker is a giant (both literally—he’s 6’7”—and figuratively) in the sport of fly fishing." He's fished bonefish and tarpon in Florida and his favorite, Atlantic salmon, in Quebec. He is a director of the Atlantic Salmon Federation. He's also active in the North Atlantic Salmon Fund. Both advocate conservation.